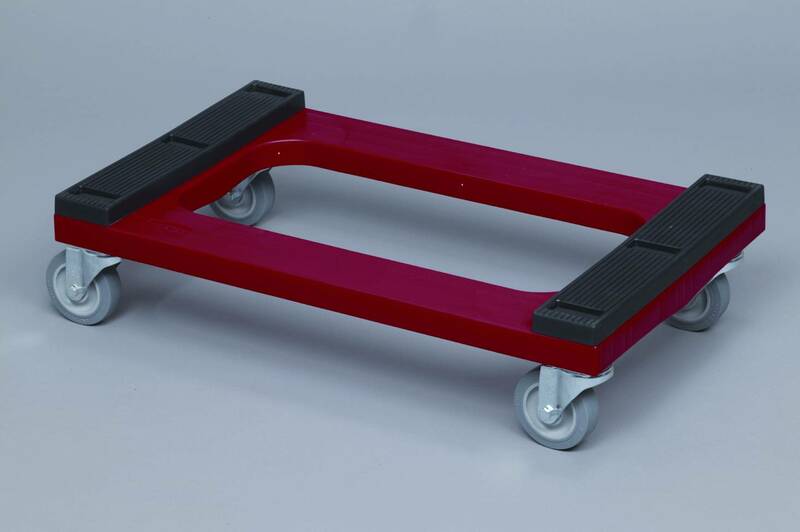 The Rubbermaid Steel reinforced molded dollies easily perform a wide variety of moving tasks and functions. Molded one piece polyethylene is high impact for long product life.. Simply wipe down to clean and unit is also lightweight. Rib design deck is Steel reinforced. 4" non-marking double ball raceway casters are very high quality and long lasting. Hefty load rating of 1000 pounds. This unit is non marking with a padded deck.